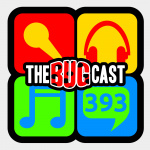 This week on The Bugcast: violent crime, distinguishing trademarks, and our usual mix of 8 fantastic independent and Creative Commons tracks! The next live show will be episode 394, broadcast live in the chatroom on Friday 29 January 2016 at 21:30 UK time (GMT/UTC). Thank you for your support and for playing our record on your podcast!